Make a review about the series from Nikon camera indeed there won’t be endless, because Nikon is getting more and more manufactures day camera with amazing features. But, let’s let us make a brief review of two Nikon products that come from the series D800e and D810. In addition to comparing, we will expose anything that makes the difference between the two cameras. Enjoy! 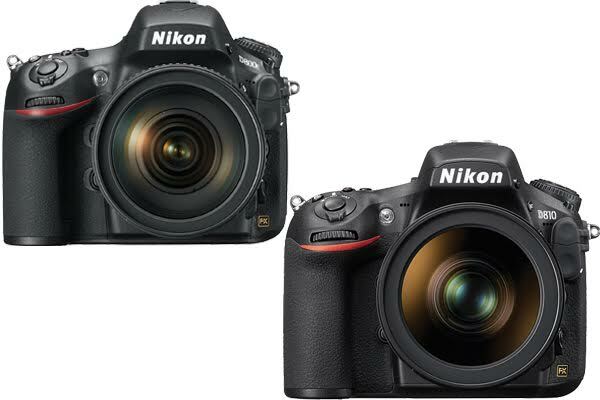 New Nikon products have adopted this D810 sensor full-frame 36 Megapixel. On Nikon D810 microlenses layout change occurred as well as the increased sensitivity of touch and no longer use the Optical Low-Pass Filter (OLPF) or without anti-aliasing filter. The thing that becomes the differentiator with Nikon D800E. With the loss of OLPF features. The addition of 64 ISO sensitivity is not less interesting and first useful on taking photos or video in an open area and spacious. As we know, that technology from Nikon image processing engine is constantly evolving and the EXPEED 4 is the latest version of Nikon ASIC (Application Specific Integrated Circuit). EXPEED 4 this was the brain of Nikon digital D810. With EXPEED image processing engine 4, Nikon claim that D810 has increased though the data of up to 30% faster and also increase the maximum frame rate to 25%, i.e. from 4 fps-5 fps at full resolution. Though Nikon hasn’t dunked video recording capability with a resolution of 4 k, but the D810 is already more than enough because it supports Full HD 1080 p video recording on 60fps. The resulting sound is also very good because of the built-in stereo microphone. All we can say from the long sentences above that only one. If you’re looking for a DSLR to primarily use for video, then the D810 looks to be a much better option. And if you shoot events, the RAW Small files from the D810 could make all the difference. It is as might the wider ISO range for other photographers. It’s clear to see that the new Nikon D810 is a significant, though not a revolutionary, upgrade to the D800/E. Does that make it worth the extra cost compared to one of the older models? Well, that’s going to depend on whether improved features like a higher frame rate and other specifications.